Courtesy of MVP REALTY ASSOCIATES LLC. Come see this once in a life time custom-built Mediterranean influenced Cahill home. 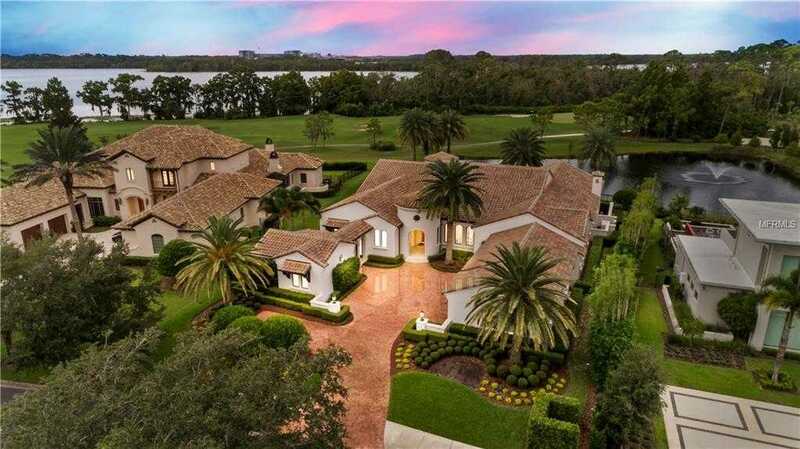 This breathtaking Estate is set on the 16th Green of the Lake Nona Golf & Country Club course and overlooks the shores of Red Lake and Lake Nona. This 6,000 square foot single family home has 5 bedrooms and 8.0 bathrooms. Here are some -Key Features- 8226;5 bedroom suites with walk-in closet and bath 8226;4 suites in main home 8226;1 suite in detached casita with bathroom, covered colonnade, and water feature 8226;8 bathrooms (5 full, 3 half) 8226;1 study/library with half bathroom and potential bedroom conversion 8226;1 family planning center, located just off the kitchen 8226;Andersen casement wood windows 8226;Custom arched solid cherry front door (9 8217;) with speakeasy 8226;Custom distressed solid cherry interior and exterior doors 8226;Busby solid-wood cabinetry throughout 8226;Crestron Whole-Home Audio/Automation System 8226;Icynene foam insulation with 2 E.R.V. mechanical systems that exchanges old air with new 8226;Concrete barrel-tile roof and many many more key features. Please see attached feature list for all of the features this AMAZING home offers. You’re not just upgrading your home but your lifestyle when you live in this community. This truly is a once in a lifetime opportunity. Call TODAY to see this incredible custom Estate in person. Please, send me more information on this property: MLS# O5738005 – $2,699,990 – 9108 Sloane St, Orlando, FL 32827. I would like to schedule a private showing for this property: MLS# O5738005 – $2,699,990 – 9108 Sloane St, Orlando, FL 32827.